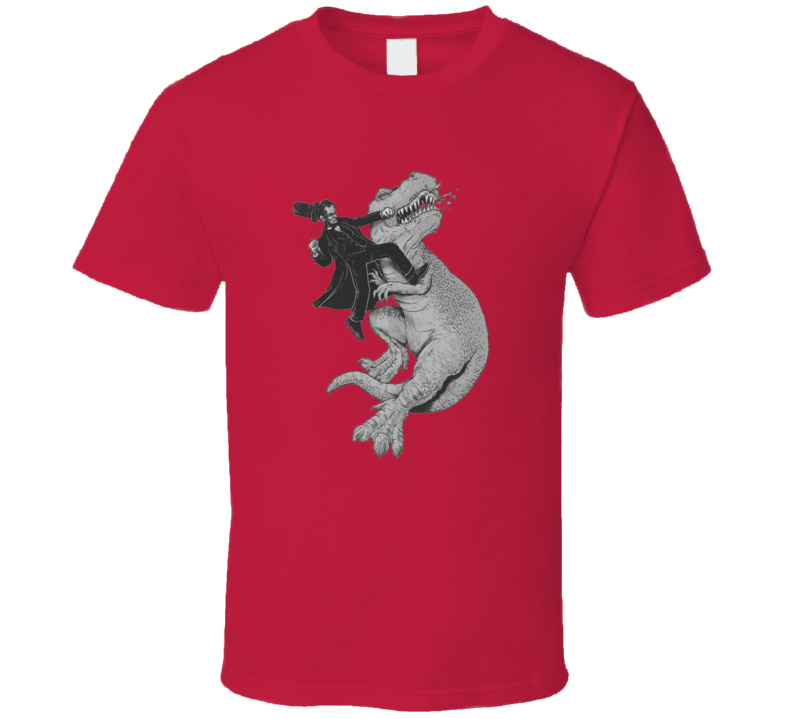 Get this Red Abraham Lincoln punching a t-rex T Shirt today which is available on a 100% Cotton shirt. 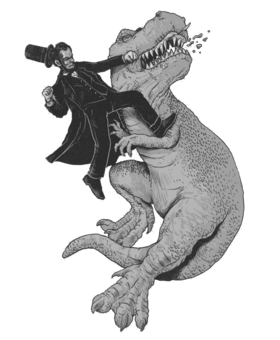 The Abraham Lincoln punching a t-rex T Shirt is available in adult and youth sizes. T-Shirt is shipped out via USPS first class mail with tracking number. All prints are a maximum of 11 x 13.5 inches. If there is an error or defect with your order please contact us right away and we will be happy to send out a replacement for it. We can only offer a 100% refund or exchange for defective orders because all shirts are made to order. Images are printed to a maximum size of 10x14 inches wide and high respectively. Images that appear smaller on much larger shirts are not covered by our refund policy unless they are defective as well.